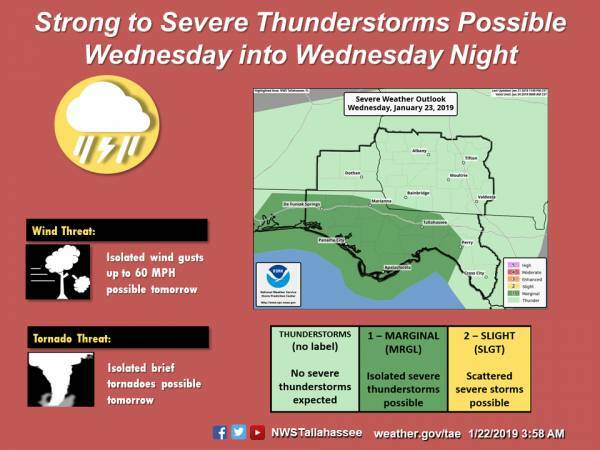 Severe Storms Possible Wednesday Evening :: RickeyStokesNews.com! There is little change with respect to the severe weather potential for Wednesday evening into Wednesday night. 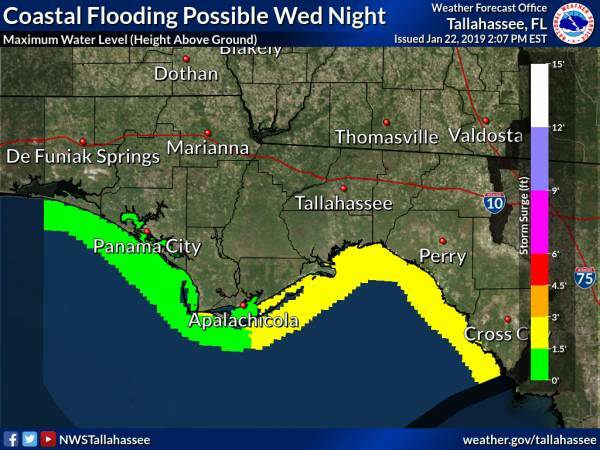 One addition this afternoon is the potential for minor coastal flooding across the southeast big bend. The attached graphics show the risk areas. The severe threat is expected to remain isolated due to limited instability. The main threats will be a few damaging winds gusts and/or a brief tornado or two. The greatest chance for severe weather will be between the early evening hours and midnight across the Florida panhandle. Heavy rain of 1-2 inches will be possible, but amounts should be low enough to preclude a significant flash flood risk. Minor coastal flooding is possible across the southeast big bend.